A change of venue for the Scottish PGA Championship has been announced in the unveiling of the 2019 Tartan Tour schedule. After an unbroken run of 20 years at Gleneagles, the PGA in Scotland's flagship event is heading to Downfield on September 3-6. It will be the second time that the tournament has been staged at the Dundee venue after Uphall's Gordon Law claimed the title there in 1997. "The course is an excellent test of golf, having hosted many top class tournaments to date. Arrangements for the championship are well advanced and the club’s members and officials have made us very welcome. The event, won for the third time by Greig Hutcheon last October, will be the penultimate event in the PGA in Scotland’s Order of Merit title battle. The first counting event for that is the Northern Open, which heads to Newmachar on June 4-6 and will see Gareth Wright defending the title. 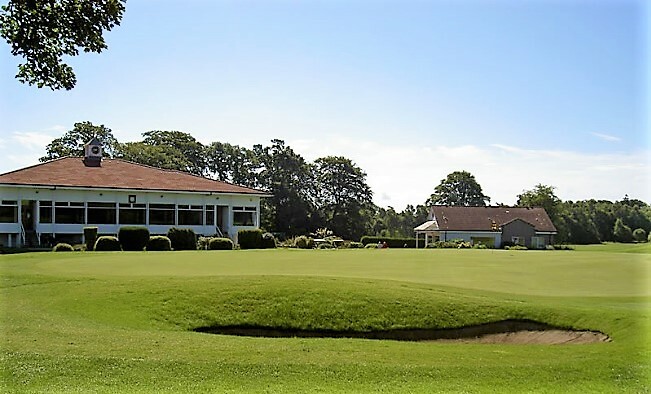 Also counting in the Order of Merit title race again will be the Aberdeen Standard Investments Scottish Open qualifier on July 6-7 at Longniddry, where four spots will be up for grabs in the event's first visit to The Renaissance Club. Other Order of Merit events include two long-running tournaments - the Deer Park Masters on August 6-7 and the Kerr Investments Pro-Am at Dumfries and Galloway on August 24-25. A new Sprint Series, which will consist of four one-day events, is also part of the Order of Merit, as are two 36-holers at Stirling in May and Carluke in September. Other notable events on the fixture list include the Highland Golf Links tournament, an established event at Castle Stuart, Nairn and Royal Dornoch. The schedule also contains around 20 one-day pro-ams, including new ones at Bruntsfield Links, Cathcart Castle and Carnoustie, and a testimonial event at Whitecraigs in memory of the club's late PGA Pro, Alastair Forrow. Plans are also being finalised for an overseas pro-am in Portugal in November. For the tenth season in a row, the Scottish Young Professionals' Championship will be played at West Lothian on June 25-27.